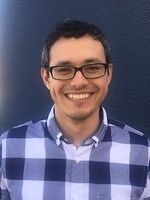 Javier is a PhD Candidate at the UCLA Department of History. He studies twentieth-century United States history. Thematically, his research focuses on social movements, race-making, capitalism, colonialism, imperialism, migration, and the African Diaspora. His dissertation highlights the experiences of Black American volunteers and soldiers who fought in the Spanish Civil War (1936-1939).